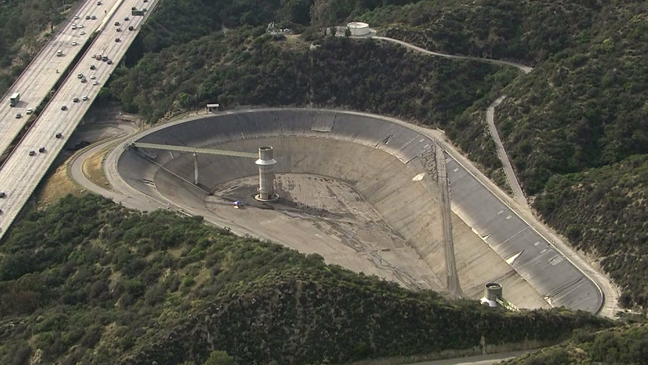 Responding to complaints that thousands of gallons of water were emptied out of the Eagle Rock Reservoir and allowed to flow into storm drains during a severe drought, the Department of Water and Power announced on Wednes­day it will work to recapture water that might otherwise be lost during future repair projects. During work to replace a corroded water pipe in March, DWP crews drained about 70,000 gallons of water. The water gushed down Eagle Vista and Hill drives, upsetting residents who have been pressured by the city to conserve. Some took to social media to complain to Councilman Jose Huizar, who represents the Eagle Rock area. Huizar said he immediately called DWP officials, who sent out trucks to collect the rest of the water draining out of the reservoir. He said some residents “saw the value” of the water and even rushed out with buckets to collect some of the water, using it to wash their cars or irrigate their lawns and roses. Huizar and DWP officials said the utility has changed its “standard practice” of dumping water as part of its daily water pipe repair work. The water will instead be recovered and injected into the sewer system to be treated, used to irrigate city parks and golf courses or simply put back into the water system, officials said. The old practice of releasing the water during repairs “simply does not make sense anymore” amid the ongoing drought and a statewide mandate issued by Gov. Jerry Brown to reduce water use by 25 percent. “And so today we’re making a decision to do something different with the water than what we’ve done in the past, and that's to put it to the highest beneficial use we can,” he said. Adams said the department will not be able to save every drop that might leak out during repairs, but crews will do the best they can to capture most of it. The new policy could save the DWP “millions of gallons” of water, Adams said.